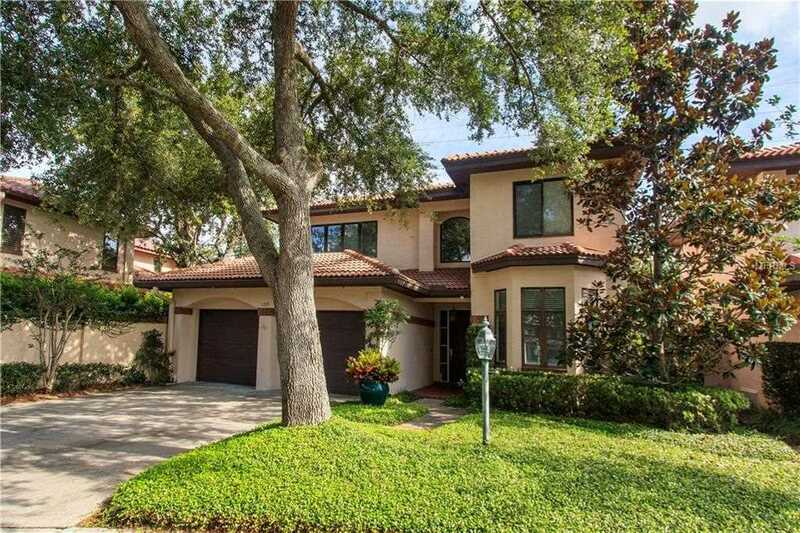 Lovely home located in Country Club Villas right next to the Country Club of Orlando. The floor plan of this 3/2.5 is terrific. It is spacious with master suite and den/office downstairs, 10 foot ceiling's, darling sunroom plus inside laundry. Upstairs you will find a very nice loft area plus 2 bedrooms and one bath. There is a large storage room upstairs which has very easy access. The back patio is quaint with brick pavers and walled in on all sides. The neighborhood is close to a new and exciting planned development called "The Packing District" for the west side of College Park, downtown Orlando, the Creative Village/UCF campus currently being built and I-4. Lot Size: 0.13 Acres / 5461 Sq. Ft.
SchoolsClick map icons below to view information for schools near 1769 Turnberry Terrace Orlando, FL 32804. MFRMLS data last updated at April 23, 2019 9:13:09 AM PST. Home for sale at 1769 Turnberry Terrace Orlando, FL 32804. Description: The home at 1769 Turnberry Terrace Orlando, FL 32804 with the MLS Number O5713438 is currently listed at $410,000 and has been on the Orlando market for 314 days. You are viewing the MLS property details of the home for sale at 1769 Turnberry Terrace Orlando, FL 32804, which is located in the Country Club Villas subdivision, includes 3 bedrooms and 3 bathrooms, and has approximately 3110 sq.ft. of living area.